Mumbai, March 29: Youtuber Prajakta Koli is glad that she got a chance to work with Youtube sensation Lilly Singh, who goes by the stage name IISuperwomanII. The bloggers have teamed up for a comical video which was uploaded on Thursday. It shows what happens when old friends meet each other after a long time. From Choli Ke Peeche to Aankh Marey: YouTube Star Lilly Singh Turns Her Favourite Bollywood Songs Into Motivational Rap Anthems – Watch Video. "Lilly is such a warm and welcoming person. It was quite a collaborative video as she was putting in her ideas and was super proactive," Prajakta said in a statement. 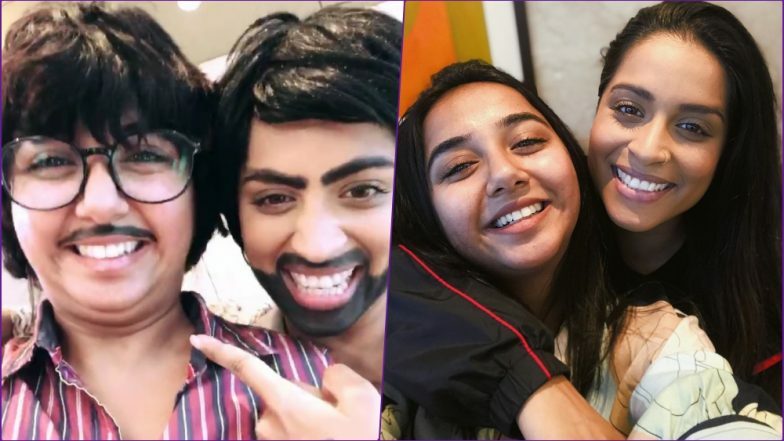 "Our Internet family was waiting for this video," added Prajakta, known by her Youtube name MostlySane. Prajakta even took to Instagram to express her excitement after working with Lilly. She said: "I don't believe I get to say this -- 'New video just went live with the boss woman'. I don't believe this." Lilly is currently in India for the YouTube Fanfest, which will be held here on Saturday. Lilly Singh Has the Hots for Nick Bateman and Natalie Eva Marie in Her Music Video and We are Here for the DRAMA!